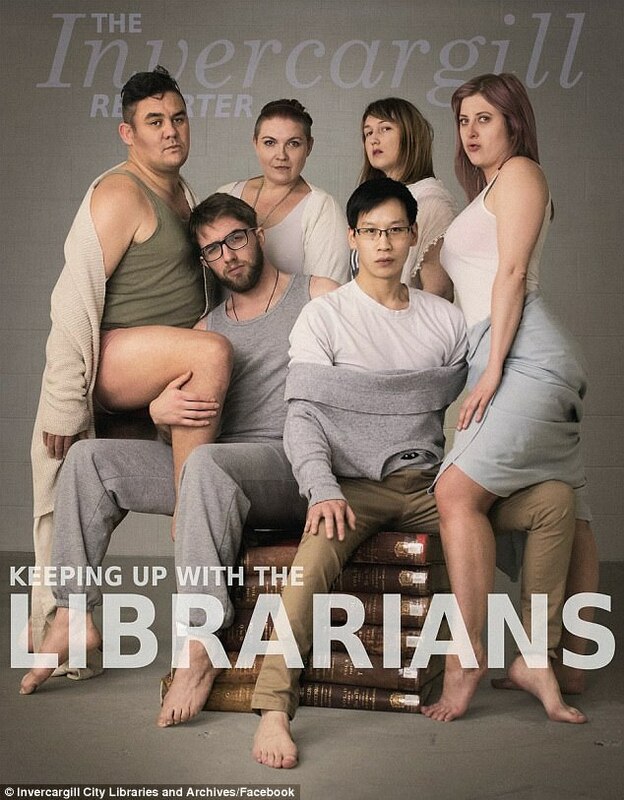 If Any Profession is Known For Its Sense of Humor, Its Librarians. Check out this group of New Zealand librarians as reported in the Daily Mail UK . They are posing in imitation of the famous portrait of the Kardashians. Read more about If Any Profession is Known For Its Sense of Humor, Its Librarians. Interesting story from the New York Times last week. MOSCOW — A Russian court on Monday sentenced a former director of the Library of Ukrainian Literature in Moscow to a four-year suspended prison term for inciting hatred toward Russians and embezzling public funds, in a case that her lawyers described as an attack on cultural figures with ties to Ukraine. The court ruled that Natalia G. Sharina (whose library has since been closed) purchased anti-Russian books and other materials and put them on the library’s shelves to help Ukrainian nationalists get a foothold in Moscow. Her lawyers said that they would appeal the sentence in Russian courts and also seek redress in the European Court of Human Rights. ...visit a library! Not only a feast for the mind but also for the eye. 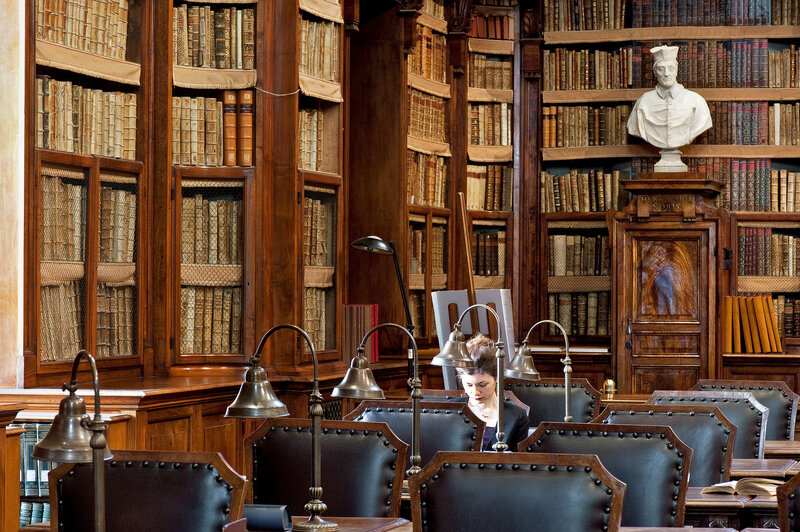 New York Times has a lovely feature on Italian libraries and their treasures, inside and out. From the New York Times (a liberal bastion of journalism), an article about the liberal bastion of libraries on the England-Wales border Gladstone's Library. A library was established by Britain’s high-minded Victorian Liberal prime minister, William Gladstone in the late 19th Century and its now enjoying a boom in use. Unlike the US where all former Presidents establish a library, it is the only Prime Minister's library in the UK. Access is free to all. The restaurant at Gladstone’s Library, close to the border between Wales and England, is called Food for Thought, and the caterers have been busy recently. Interest has surged in an institution that houses Gladstone’s books and papers and that sees itself as a temple of liberal values, delighting its director, Peter Francis, who believes the trend is a reaction to the rise of populism in Britain to the upcoming Brexit. BAGHDAD (AP) — The Iraqis guarding Baghdad’s many checkpoints, on the lookout for car bombs and convoys, don’t know what to make of Ali al-Moussawi when he pulls up in a truck displaying shelves of glossy books. The mobile bookstore is the latest in a series of efforts by the 25-year-old to share his passion for reading and revive a love for books in Baghdad, which was once the literary capital of the Muslim world but is now better known for bombs than poems. West Orange NJ's childrens librarian Faith Boyle read "Knuffle Bunny: A Cautionary Tale" by Mo Willems to a group of children and their fluff-filled companions. After that late afternoon story time, the children kissed their toys good night. 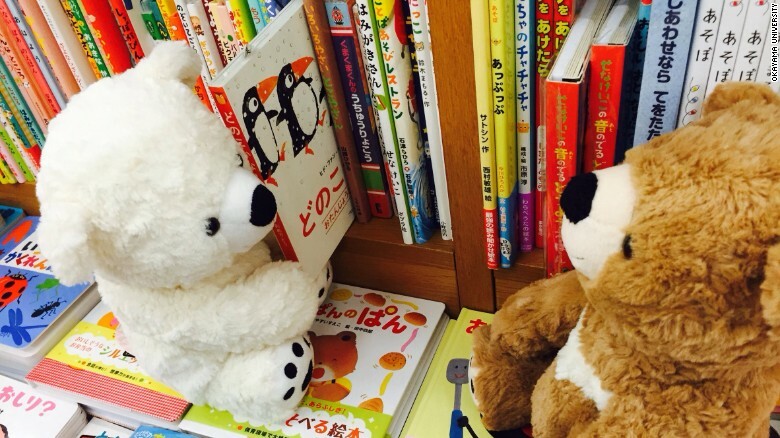 A group of teenage volunteers quickly got to work, snapping photos of the stuffed animals in the library. There were images of a teddy bear and bunny holding hands while watching a puppet show and a tiny plush alligator reading about swamps. Even the photos of the monkeys sneaking Chips Ahoy cookies from the break room made it onto the library's Facebook page. Perhaps you're acquainted with Edinburgh University's Library Cat? Here's the Facebook page where I first met him. Sadly I must report that Library Cat has gone missing this past summer, and has not shown up at the Uni library nor any of his other favorite spots. There appears to be a usurper, the so-called Library Cat 2.0. Here's the story of Library Cat's tenure at the library and his disappearance. He will be missed greatly. But his ghostwriter, PhD student Alex Howard has published his inner thoughts in a wonderful volume, shown here. It's been published in the UK but is available elsewhere via BookDepository.com. Last March, the BBC reported that 343 public libraries have closed in the U.K. and another 111 were scheduled to be closed this year. That’s about 15 percent of all public libraries in the UK. Nearly 300 libraries were handed over to community groups to sustain or were outsourced to commercial management. UK libraries have been forced to lay off a quarter of their staff because of budget cuts. The heroic story of the men who saved thousands of manuscripts from being destroyed by al-Qaeda from the Times Literary Supplement, London.